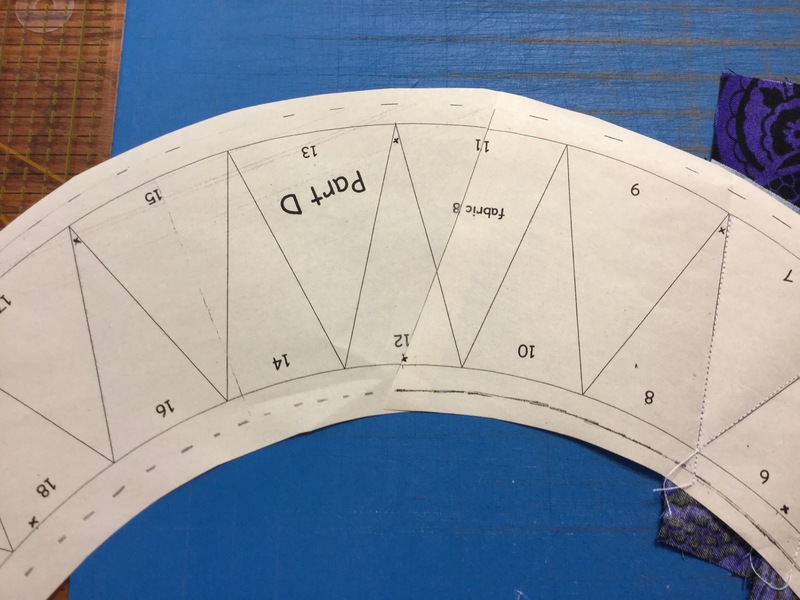 I have learned to appreciate even more the work of those before computers when it comes to pattern making and getting measurements accurate so that there were no waves, ripples or volcanoes happening unwanted in a quilt,even seam matching is a challenge . 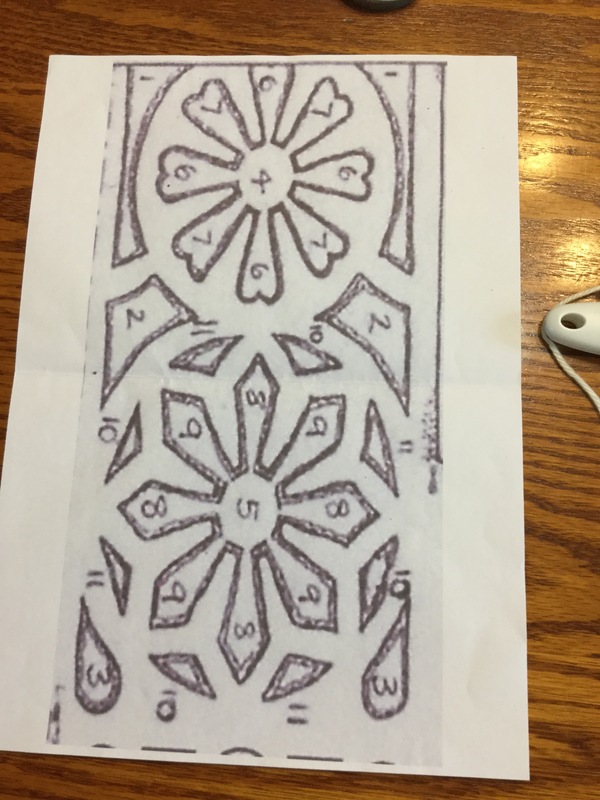 I have been challenged with this pattern making. 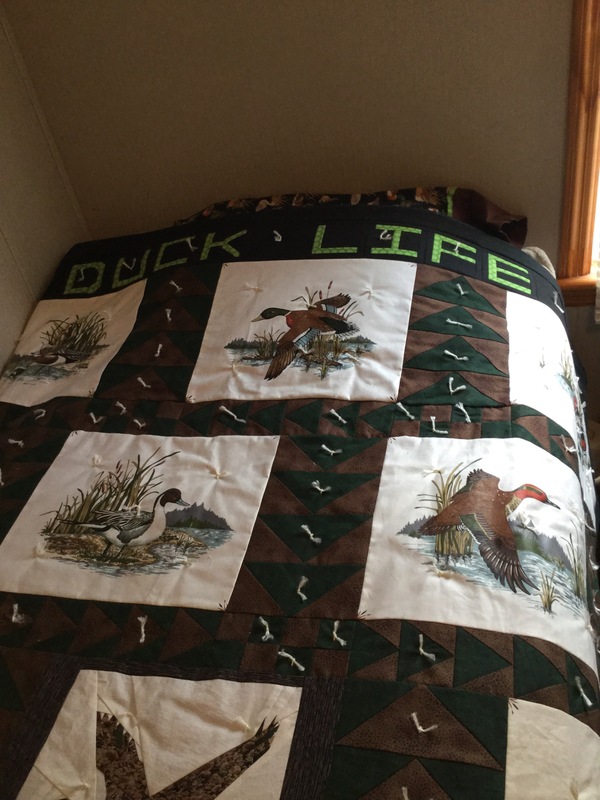 I have enjoyed it but sure glad that I don’t have to be so challenged every time I want to sew a quilt. 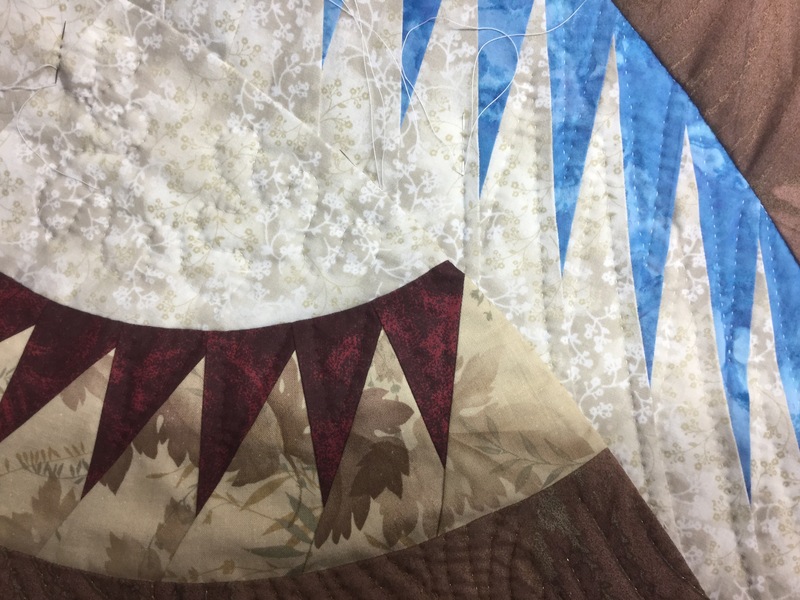 This entry was posted in Paper piecing, quilt, sewing and tagged charlecote park, quilt on July 15, 2015 by Deb. It is hard to believe that a year has gone by! Can’t say my writing skills have improved,but it was fun to visit projects that were done and a reminder of ones that haven’t. 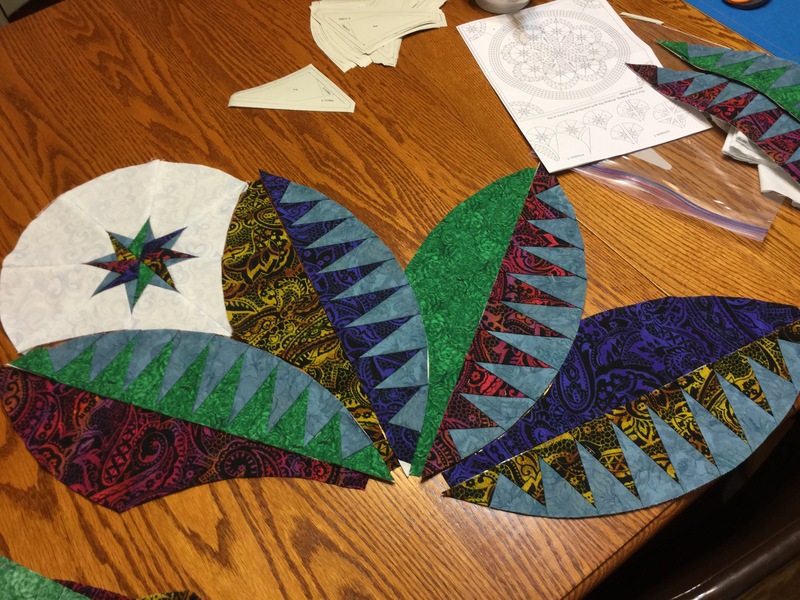 The Be Colorful top is coming along, I really like the bold colors. 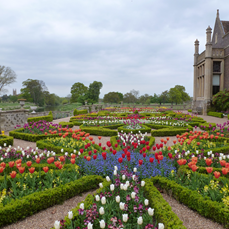 Then I got sidetracked with a challenge of making a pattern from a layout of plans for planting the flowerbeds of Charlecote park of England. A friend gave me the challenge. 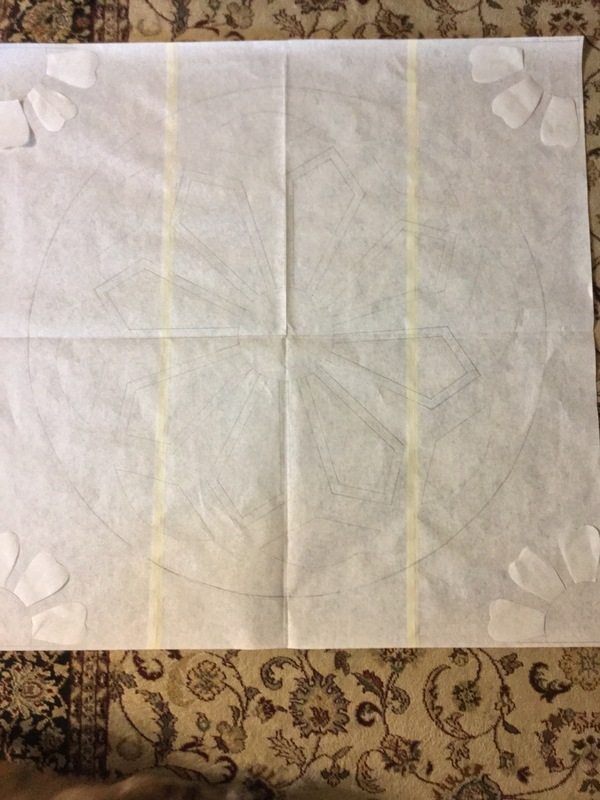 I decided instead of making blocks, I would go with a center piece. It is hard to get a good picture for it is done with pencil. 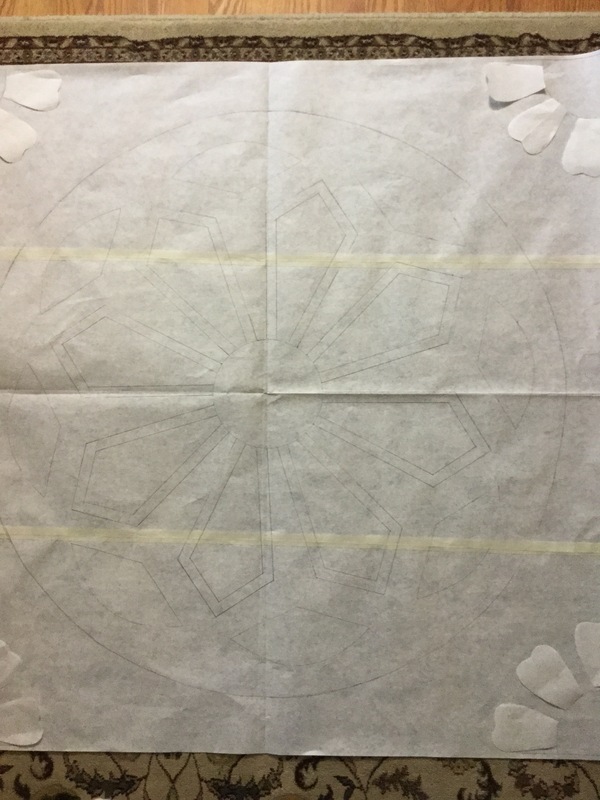 I will probably appliqué the petals on the outside edges. 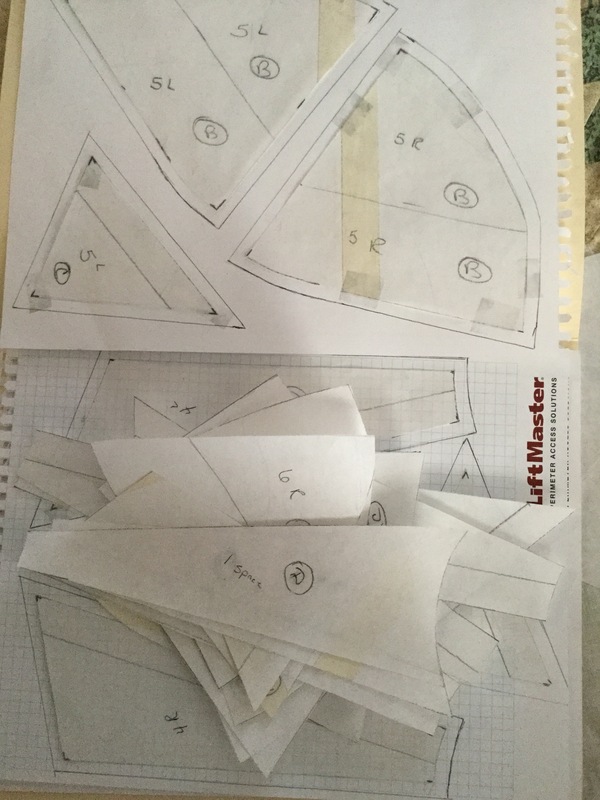 It took me a little bit to figure out how to break it down for piecing. This is what I decided on. Still a little hard to see because of using pencil. 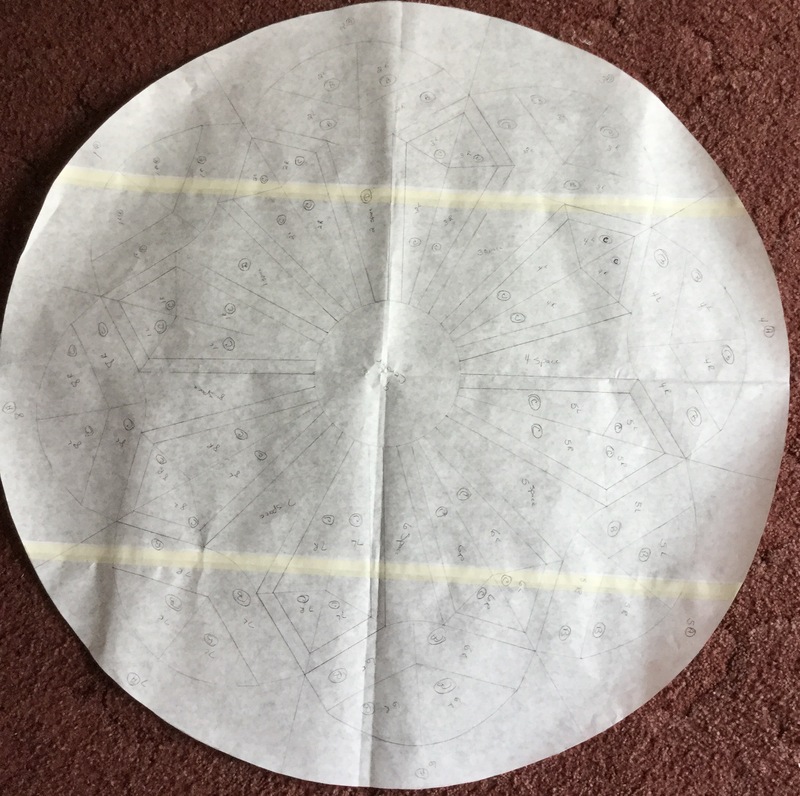 I used freezer wrapping paper to draw pattern on. 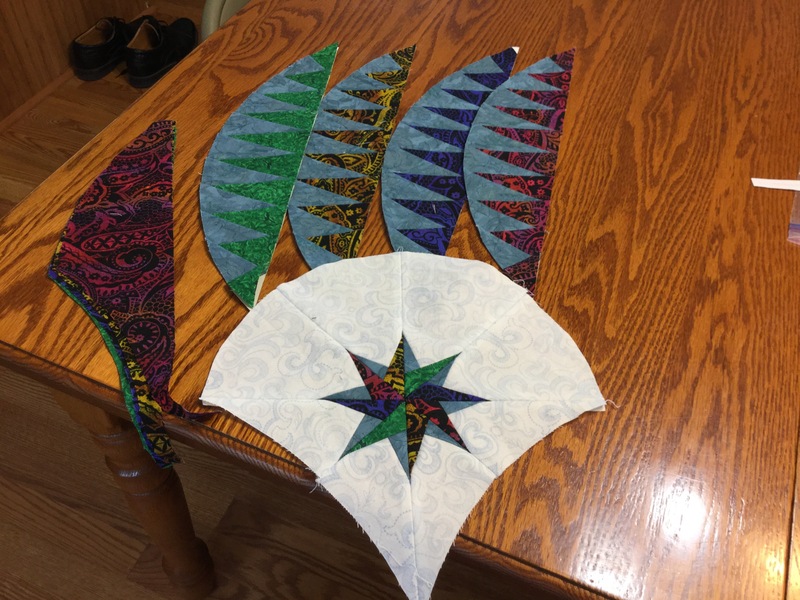 By the way these are not the colors that I will be working with, so don’t freak out……😉I just grabbed some scraps for trial. That way if it didn’t work out I could just throw it in the trash. Picture of the parks flowerbed! It’s so beautiful….. I would love to visit there, but I’m afraid that I will only be there by picture. 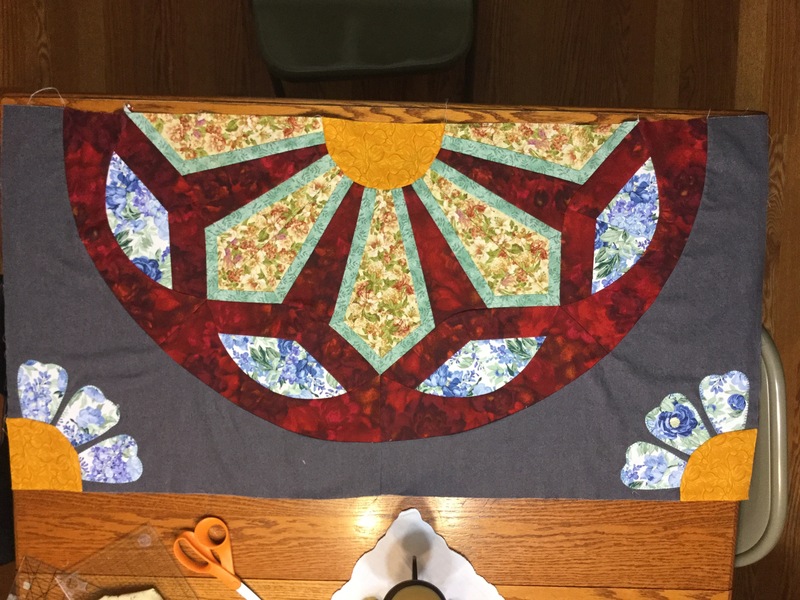 This entry was posted in Flowers, Paper piecing, quilt and tagged charlecote Park quilt on July 12, 2015 by Deb. 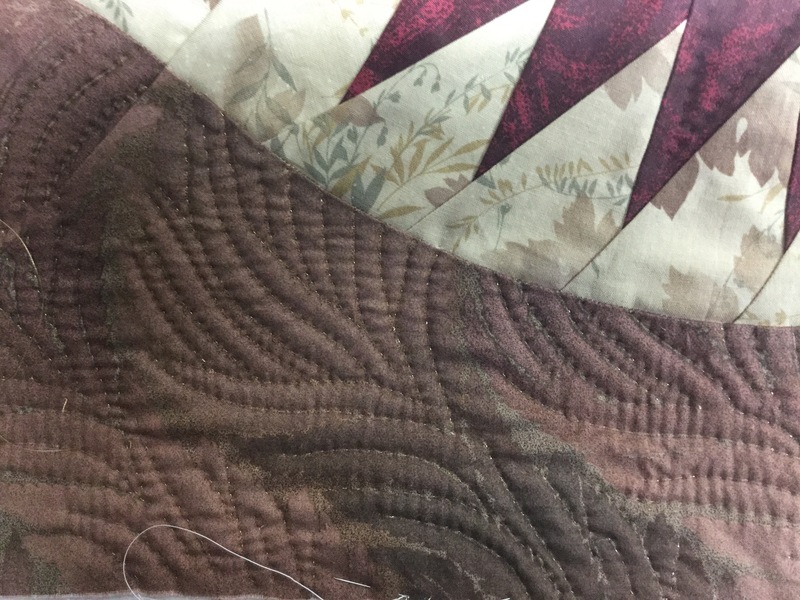 First I’m showing some hand quilting on the Fire Hosta Queen quilt . 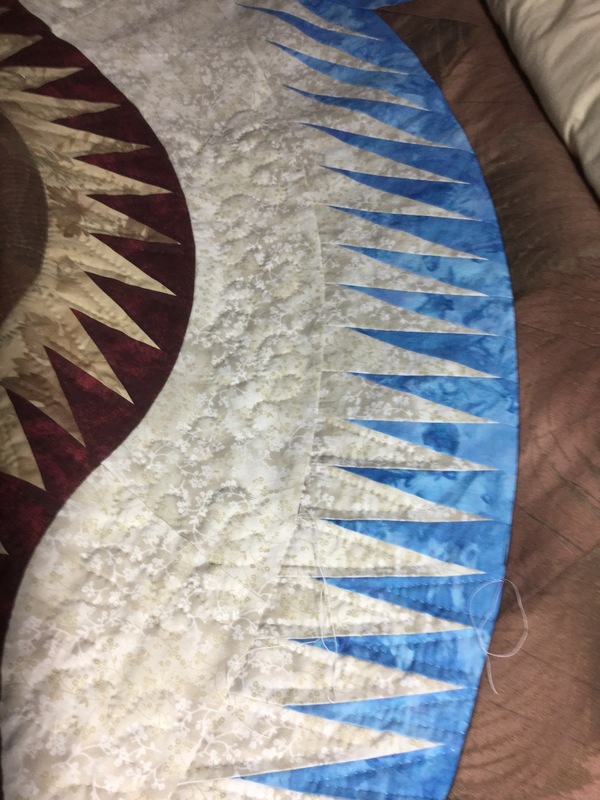 It will be quilted with 4 different colors, one is a metallic thread. I have never used this kind of thread before but wanted to add a little sparkle to the outside border. 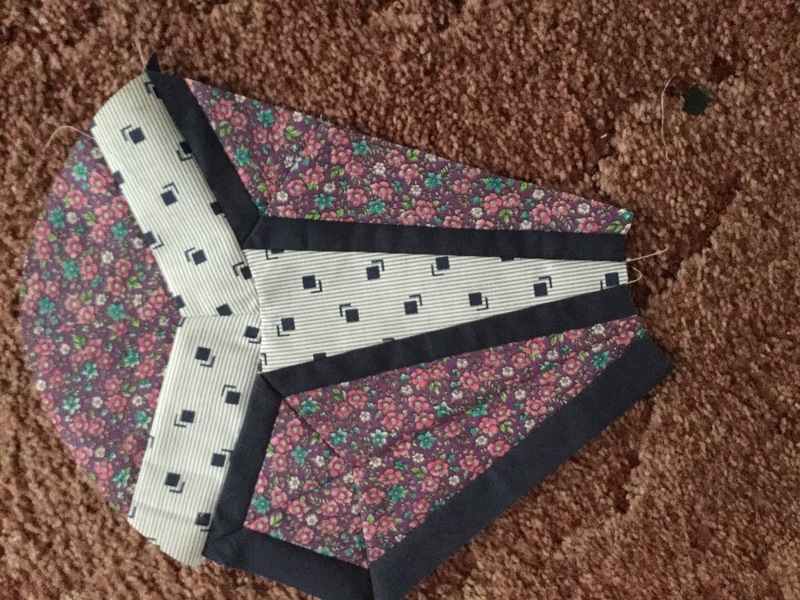 I did find that I can only use a short thread for it will knot quickly if to long. The sparkle doesn’t show up very good on the photo. 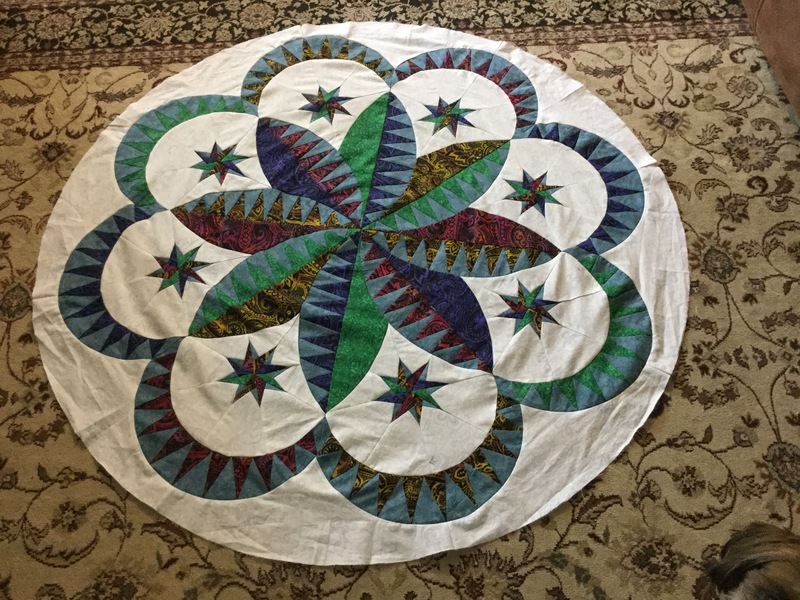 I love this pattern and have been enjoying piecing it together. 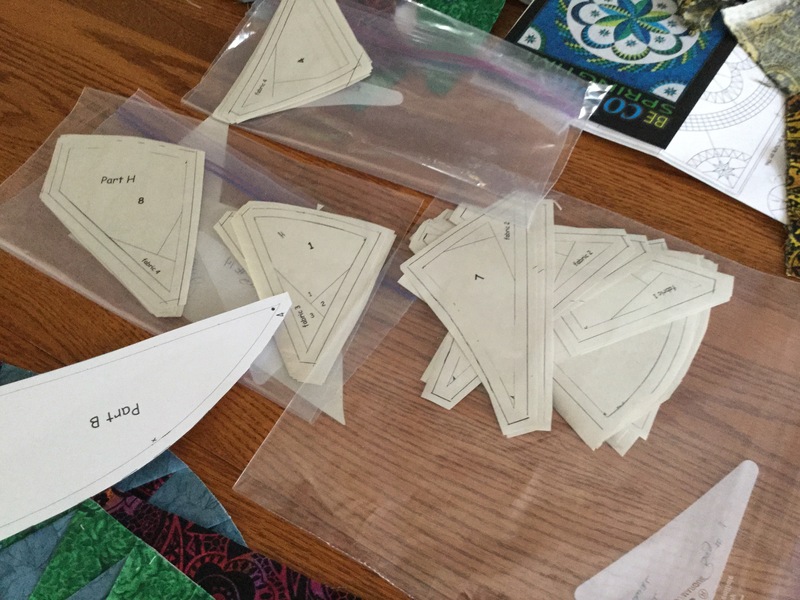 First I copied all my pieces and placed in bags so as to not confuse or lose pieces. 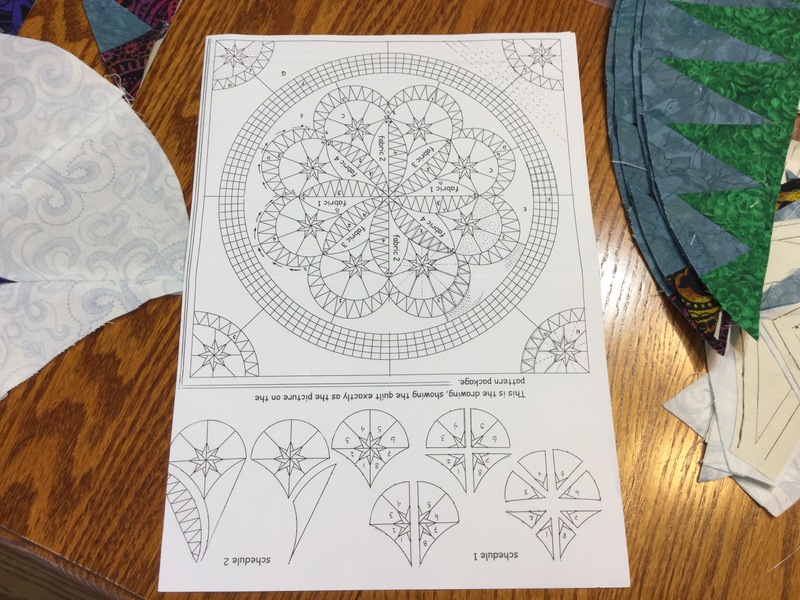 This entry was posted in hand quilting, Paper piecing, quilt, sewing on July 1, 2015 by Deb.